Eurapp - a study of the European app economy launched by the European Commission and run by DERI, NUI Galway and GigaOM Research - will provide a comprehensive review of the size of the app economy in Europe so that it can be further supported by the DAE and other initiatives. We will produce innovative and pragmatic recommendations detailing how to overcome various bottlenecks identified in the app economy, using pragmatic ways in which to reach stakeholders, deploying effective research instruments and impact assessment methodologies for the app economy (in particular in relation to jobs creation). The Eurapp project - launched by the European Commission's Startup Europe initiative - is being driven by the Insight Centre for Data Analytics at the National University of Ireland Galway and by Gigaom Research. NUI Galway is home to one of the leading international web science research institutes interlinking technologies, information and people to advance business and benefit society. Gigaom Research is an analyst network from the very popular Gigaom publisher that provides expert industry analysis on the cloud, mobile, cleantech and consumer technology sectors. The Insight Centre for Data Analytics (formerly DERI) at the National University of Ireland Galway is a leading research institute in web science, networked knowledge and semantic technologies. The centre performs research in web apps, social networks, cloud computing, linked data, and the internet of things, and applies its research results to solve integration problems in various application-oriented projects. One of the world’s largest web research institutes, and the largest in the Semantic Web / linked data space, the centre has on its advisory board Sir Tim Berners-Lee, inventor of the Web, Dr Michael Brodie, former chief scientist with Verizon, and Dr Chris Horn, founder of Iona. The centre is very active in the web and mobile area, developing methods and tools that include: community-oriented mobile apps (Volvo Ocean Race app), semantic data storage and retrieval for mobile devices (RDF On-The-Go), and various linked government data apps. The centre has received over €61 million in research funding since 2003. Gigaom Research, Giga Omni Media Inc.
Gigaom Research is the industry leader in emerging technology research. Its proprietary research methodology determines what is important to cover. Gigaom Research monitors reader metrics and “digital conversations” inside its 5.5-million member Gigaom community. Gigaom covers emerging technology trends in cloud, mobile, social, connected consumer and cleantech, and its analyst content – Gigaom Research - is published daily, weekly, monthly and yearly providing full coverage of breaking news and long-term trend analysis. To create the most accurate actionable intelligence available, Gigaom Research analyses recent news, the competitive landscape, and market deficiencies among all things current. The Gigaom technology news site is published by Giga Omni Media Inc. in San Francisco, California. It also has over 100,000 followers across Twitter and Facebook. Gigaom is in the top 10 technology sites according to the TechMeme leaderboard (along with TechCrunch, the Wall Street Journal, CNET and Bloomberg). John Breslin is the Project Leader for Eurapp. 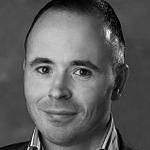 He leads the Social Software Unit at the Insight Centre for Data Analytics, NUI Galway. He has been creating online communities for 15 years. In 1998, he set up a forum for online computer gamers that grew into boards.ie, Ireland’s largest discussion forum community with over 2.25 million unique visitors per month. He has been awarded various Internet and research awards for his social media work, and is experienced in online community design. John has successfully led a number of research projects and is an active entrepreneur and innovator. Recently, he founded Technology Voice, an online publisher, and co-founded StreamGlider Inc., a mobile apps company. David Card is Vice President for Research at Gigaom Research. His expertise is as an industry analyst (and manager) covering the intersection of media, technology, and consumer behavior. His specialities include customer segmentation, competitive analysis, go-to-market strategies, market forecasting. Previously, David has held lead roles in Jupiter Research, International Data Corporation and Electronic Business magazine. 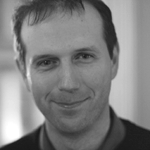 Maciej Dabrowski is a Postdoctoral Researcher at the Insight Centre for Data Analytics, NUI Galway. His work combines innovative use of data analytics and social software in collaboration platforms on the Web and in large organizations such as Cisco. Maciej has over 10 years of experience in development of Internet and mobile applications in various roles including management, research and development. His background includes degrees in Computer Science and Business. 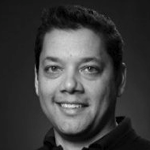 Nomaan Latif is Sales Director for Gigaom Research, representing the most disruptive research service available. Previously Nomaan, held a sales/account management role at the Gerson Lehrman Group, where he focused on growing their technology, media and telecommunication services business in the USA’s West Coast region, and previous to that again he worked at Altera Corp.
Mark Mulligan is a digital media strategist at Gigaom Research and a leading impartial authority on digital music. Mark helps companies makes sense of, and profit from digital content. For 11 years Mark was a Vice President and Research Director at Jupiter Research (later acquired by Forrester Research) where he worked with companies right across digital media value chains, right up to the C-Suite. Mark’s clients have included record labels, retailers, telcos, book and magazine publishers, CE companies and venture capital companies. 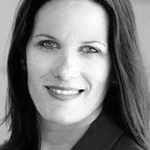 Alison Murdock is VP of Marketing at Gigaom. She has 18 years' experience in the technology media business. She co-founded Songcrusader to help companies with their marketing and audience development initiatives. She founded Silicon Valley Rocks!, a benefit concert for Music in Schools Today. From 2003 to 2007, she was president and founder of Dealmaker Media. In 2000, she founded Cerulean Media Group, a custom events consulting company, which was folded into Dealmaker Media in 2003. She has also held lead roles at Return Path, Red Herring Events, and Ziff-Davis/Softbank Expos. Adegboyega Ojo leads the E-Government Unit at the Insight Centre for Data Analytics, NUI Galway. His research and development work focuses on how governments can effectively leverage Linked Government Data for public service and policy innovation. Before joining NUI Galway, he worked as academic staff at the United Nations University – International Institute for Software Technology (UNU) and provided advised several governments in Africa, Asia, and Latin America. At UNU, he carried out many global studies including how the emerging southern engine of growth (China, India, Brazil and South Africa) can develop and harness software technology for socio-economic development. He has a bachelor and doctorate degrees in Computer Science. 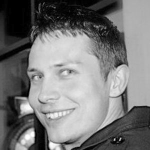 Lukasz Porwol is a researcher at the Insight Centre for Data Analytics, NUI Galway. His research work focuses on leveraging social media and mobile technologies to support effective dialogue between citizens and decision-makers. 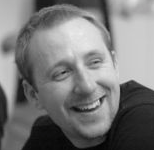 Lukasz is an experienced leader, consultant and developer involved in multiple initiatives. 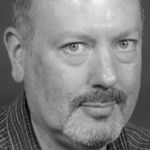 He has been an active member of the Galway Transport Advisory Board as an IT expert and is a Member of the Board of Directors for the Computer & Communications Museum of Ireland. Lukasz has been a finalist in the Apps4Fingal mobile app competition and was co-coordinator of the app development project for the Volvo Ocean Race 2012 final in Galway.